Pursuing a semester abroad requires you to obtain a student visa. However, before applying to a particular program, you need to ensure that the course that you're applying to meets the visa requirements of that country. Visa processing can take days to even a couple of months depending on the country you will be studying in, so it is important that you keep yourself updated with the average time that it could take. Mentioned below are some of the most common queries that students have when applying for their visas. The application process and requirements for a student visa varies, depending on the country you wish to apply to. 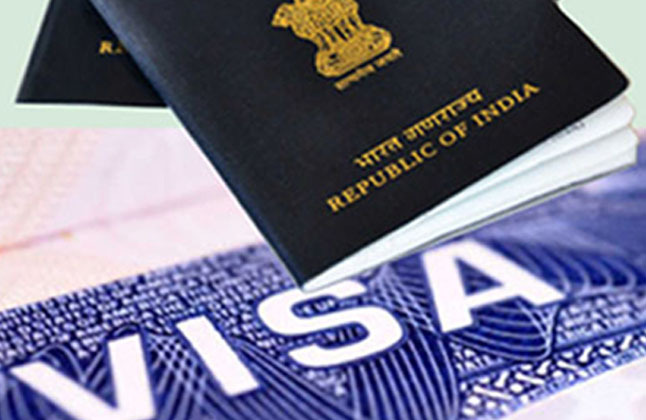 There are certain documents that need to be submitted when you apply for your visa. However, before you begin with the process, you need to be accepted into a program first. When applying for your student visa, it is important that you have sufficient funds to cover your study abroad expenses. When considering your options, ensure that you know what your program costs cover. Tuition and living costs will vary depending on the country and region you choose to live in. You will be required to provide records of your bank statement along with other details to show that you are able to pay for your overseas education. Many students work on or off campus during their time overseas, however, they are only permitted to work once their course begins. As a student, you can work part time up to 20 hours per week and full time up to 40 hours per week during your summer break depending on the country you decide to study in. When you enter on a student visa, you can stay as long as you are a full time student, which means that you can stay on till you have successfully completed your course. Can I Travel After My Program If My Visa Has Expired? Every country deals with this situation differently and some countries are strict about travel if your visa has expired. It is recommended that you consider your options carefully before you decide to travel with an expired visa. "Experience with Edwise was really very awesome. All my worries, my questions, regarding the admission process and visa were taken care off very nicely. I am very happy with the service that was provided to me and I am very thankful to Edwise for making it all happen for me." "The best part about Edwise is that you get detailed information on visa counselling and other application process which makes the complete overseas process faster and easy to understand." "Edwise helps me with each and every points that was troubling me. Also they made the visa procedure easy and helped me get it faster. I salute the hardwork of EDWISE!!" "Very good service, they are very helpful. The counselor's and the visa counsellors are very good at their job and they go out of their way to help students. The whole team is excellent at their Job." "I went through 3-4 mock interviews which equipped me with all the answers I needed for the crucial and urgent Visa. I am truly grateful for all their help, and recommend anybody who wants to study abroad to apply through them." "My experience with Edwise International from the start till I got my visa has been very good. You were very supportive and helpful for all the procedures and documents that had to be done. Thank you for your time and support. " "It's been really good time working on visa process with Edwise. The support from counselors and their guidance helped my visa to happen soon. Thank you for all your support." Also read: Studying Abroad - It's Not Scary!